Known for their sophisticated hotels in where-to-be-seen locations like South Beach, Beverly Hills and Las Vegas, SLS is quickly expanding to more hot destinations including Mexico. The brand has multiple locations planned including Cancun and Cabo up first with Puerto Vallarta, Mexico City and Punta Mita to follow after. The Cancun property will be located in the heart of Puerto Cancun on the Caribbean Sea. The master-planned gated community that the hotel will be located in will include a private beach club, an 18-hole Tom Weiskopf golf course, a private marina with 175 boat slips, more than 100 stores and boutiques, a variety of restaurants and entertainment including 16 cinemas. Plans include 580 condos, 32 villas and a 65-room boutique hotel. 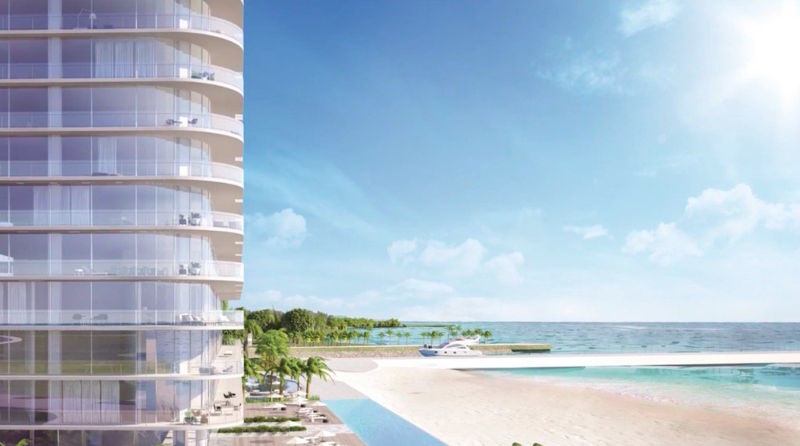 The residences will feature modern designs with floor-to-ceiling windows offering stunning views of the ocean. The kitchens will be outfitted with premium European cabinets, imported stone countertops, and a full complement of stainless steel appliances. Glass-enclosed showers, porcelain tile doors and wet walls, flattering lighting and designer fixtures and accessories make up the spacious bathroom amenities. Residents will also have access to the SLS Cancun app that allows residents an easier way to complete simple daily tasks like request valet, order room service, or sign up for spa activities among many other things. SLS Cancun will also feature a state-of-the-art fitness center, luxurious spa and stylish pool area. The beach club, also designed by PieroLissoni, will include cabanas, a hip cocktail bar and canopied dining tables. SLS Cancun is slated for a 2018 opening.